Sarat Chestnut, born in Louisiana, is only six when the Second American Civil War breaks out in 2074. But even she knows that oil is outlawed, that Louisiana is half underwater, that unmanned drones fill the sky. And when her father is killed and her family is forced into Camp Patience for displaced persons, she quickly begins to be shaped by her particular time and place until, finally, through the influence of a mysterious functionary, she is turned into a deadly instrument of war. Telling her story is her nephew, Benjamin Chestnut, born during war as one of the Miraculous Generation and now an old man confronting the dark secret of his past—his family’s role in the conflict and, in particular, that of his aunt, a woman who saved his life while destroying untold others. I’m pretty sure the last dystopian novel I read was Animal Farm by George Orwell, and that was either in grade 10 or 11 English class. Let me just say that American War is no Animal Farm, with no offence to Orwell. American War, written by Egypt-born, Canada-based author Omar El Akkad, is an eye-opening idea of what the future of global politics could very well turn out to be. With everything already on its way to going to hell in a hand basket, El Akkad does an incredible job painting a vivid picture of what the world may very well be like in 50 years from now; climate change and earth’s diminishing resources are something that we are perhaps not taking seriously enough. While it may seem like the United States is being “picked on”, it only makes sense as the country is generally viewed as one of the biggest leaders in all things economical. It’s an interesting thing to see what it would be like if it reverted back 100 years and another Civil War broke out. What would be devastation look like? Who would be affected? If race is what drove the last war, what would propel this one? Natural resources seems like an obvious choice. Two of the three Chestnut children, Sarat and Simon, are examples of how war robs children of their youth. When war is the only thing you seem to know growing up, it is seems only natural to join the fight for one reason or another. 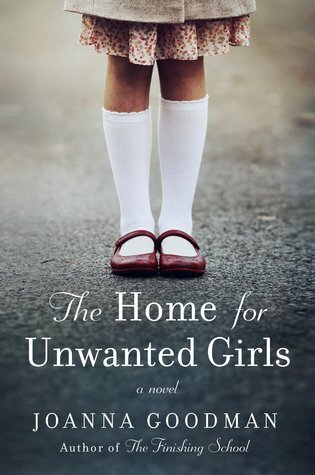 The third Chestnut child, Dana, is the sole family member who doesn’t seek out revenge for what has happened to her family, perhaps as an example of preserved innocence. I tried to dig deep and find something that I didn’t like about American War, and quite frankly, I really enjoyed every bit of it. While a bit dense and containing some slight adult content, I really think it should be a required read for high schoolers. It’s eye-opening and thought-provoking. 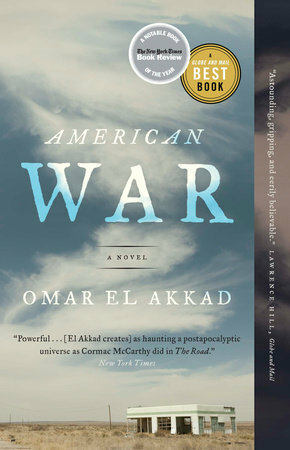 Reading // “American War” by Omar El Akkad. I’m nearly finished it (“actual” books take me so much longer to get through than ebooks), but it’s been a really interesting tale! A review will likely be up sometime next week. Watching // Jeopardy. I know it makes me sound like an 80-year-old lady but the current champion (as of Wednesday April 17, at least) James Holzhauer is just slaying the competition, I can’t even wrap my mind around it! I really feel sorry for his challengers. I did start watching the third season of Santa Clarita Diet last week, for all you non-nerds. Listening to // Gosh, not much these days! The only time I ever have music playing is when I’m in the car, and that’s just the good ol’ local radio station! Not that there’s anything wrong with it, though! I’ve thought about transferring the Sirius Radio account over from the truck to the car, but I’ve actually been enjoying the local content. Loving // Our Sammy Boy. While it may make me sound like a crazy dog lady, I’m so happy that we brought Sam into our lives! He’s such a great dog and he fits so perfectly with our family. The girls are both crazy about him, and even Campbell loves his company! He’s been good for all of us. Thinking // About how difficult it will likely be when the time comes that I find a job and I need to find childcare for the girls. I’ve been so fortunate to be able to stay home and avoid that hunt, but I feel ready to head back into the work force. Finding childcare nearly stresses me out more than finding a job itself. Needing // The dogs to quit instigating one another to destroy the backyard! Really, it’s not too terrible, but it’s slowly becoming a disaster out there. Sam likes to dig holes and of course, Campbell will join in on the “fun.” Hopefully he’ll grow out of it. Anticipating // A job interview next week! We’ll see how it goes. Looking forward to // The Boogie the Bridge on the 28th! It’s a slightly different course starting from a different location, but it’s always such an awesome event for our whole family! This year I’ll be tackling the 10K, so hopefully my legs prove to me once again that I can complete that distance. Kyle will be doing the half-marathon, and Isla will be doing the 1K Mini-Boogie as well! It will also be Norah’s first go at the Mini-Boogie, which should be a lot of fun! She’ll be running with her grandpa, who just tackled the Boston Marathon earlier this week. She’s pretty excited, or at least she says she is. What are you currently reading or listening to?